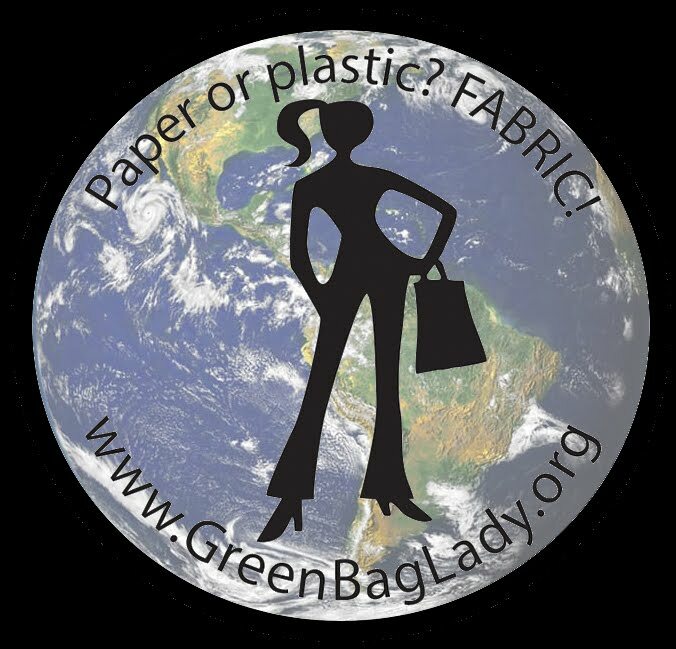 Green Bag Lady: 100 Winners! Amy Butler Bags! 100 Winners! Amy Butler Bags! •In your comment, tell us your favorite thing to sew. Don't forget to leave us your email! We will ship bags internationally. 100 winners will be chosen at random to win one of these great Amy Butler Lotus pattern shopping bags! If you like, Like Green Bag Lady on Facebook HERE. I love to sew just about anything, but I am working more and more on quilts. Thank you! My favorite thing to sew is FABRIC... lol I love to quilt but I do lots of other things too. I love this fabric. Hope I can get one. Thanks for the giveaways. shesdevilish40(at)yahoo(dot)com. i love to sew headbands and bows. The fabric on these bags is glorious! Thanks for the chance! Awesome!!!! I am not very good at sewing as of yet. One day I hope I will be though. I'm still learning. Right now I love adding sewing to my cards and layouts. Thanks for the chance. i love to make bed quilts that my friends and family can wrap themselves up in. this another one of your very cute bags. I don't know how to sew yet, but my mom promised me that she would teach me over the summer! I really want to learn the basics and how to put a button on a shirt. I love to sew lots of things. My next thing to try is bags for walkers, for the elderly. I've been sewing lots of totes lately, lol! M said " another nice batch". I love to sew things for my children and to embroider and appliqué clothing for them. Love to sew whatever floats my boat. LOL! I haven't really sewn, that's why I could use one of these bags. Thanks for maybe helping me out if I win a bag. These are perfect for spring/summer!! I always handsew, although very slow, it gives personal touch in what I do. Making aprons out of sacks of flour is what I love to sew. i once sewed a blanket for myself when i was a child. my mom still has it. best sewing memory by far! I like to sew for my grandchildren. Today I quickly sewed a boy themed burp cloth for my 5th grandchild. I love to sew costumes for my son. Thank you for the opportunity to win! I like to sew clothes for my daugter's dolls. My favorite thing to sew right now are my Felt dolls I sell in my Storybook Felts Etsy shop. My favorite thing to sew is accessories for my pocketbook. Thank you for this lovely bag! it is very beautiful bags! I love to sew things for my home ... quilts, curtains, pillow covers. And gifts of any kind. I love to give it away just like you do. Wow!! !You made 100 bags,that is amazing and so generous of you.Crochet is my passion but love to sew little ornaments. I love sewing children's clothing! I worked at textile factory, so I can sew bedclothes. I love to piece quilts and make simple bags. I love to make quilts. I've recently made some quilted purses. i love making clothes for my boy-thanks! I like sewing quilts but I love sewing anything crafty. Your bags look awesome. Thanks for the chance to win. I would love to have one of these bags! barefairy at Hotmail dot com. I love to sew baby bibs! Lately all I have been sewing is badges on scout uniforms! Oh, I definitely prefer quilt piecing to anything else! 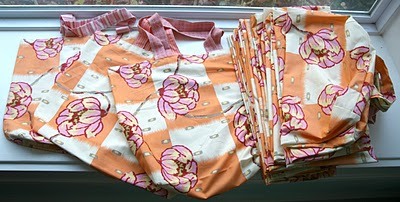 However, I did just have a lot of fun making some reversible tote bags :) bkpgossard AT me DOT com. I have been sewing yoyos recently in a rainbow of colors and patterns for a wall hanging! My favorite thing to sew are handbags. I love to sew shopping bags of course! Though now I am working on a few maxi dresses for myself. I may even have enough fabric to make matching ones for my little girl! I very much like to sew, especially soft toys. I sew ver little, but I do like to embellish simple canvas bags with a design and make boxes to store makeup and accessories. Love seeing you at giveaway day! thank you for making these bags. My favorite thing to sew is quilts and totes. lbender(at)wisc(dot)edu. I love to sew clothing for my daughters! I think that probably quilts are my favorite. Thanks for yet another opportunity to win a fabulous bag!!! I don't sew much, but when I was younger, I loved to sew hair ties. They were so fun and easy to make. I would use all sorts of different fabric designs and had a blast making them. Ahh...the memories! My favorite thing to sew is large bed quilts. Thanks for the chance to win a bag. My favorite thing to sew is clothes for my kids that they will love and wear all the time. I'm getting better at figuring out what those items will be! I would love to win one of these! I enjoy sewing quilts the most of all. favourite thing to sew are probably the quilt tops - quilting and everythign after that tends to be put off again and again. I love to sew quilts! i like to sew bags! I love to sew all kind of cases, bags and dresses! I like to sew small projects. i like to sew anything for my kiddos. I like to sew dresses and patchwork quilts. I love to quilt. I just started last July. I love this fabric & hope I can win one. Thanks for the chance! P.S. I Liked your facebook page and posted your Youtube video on my page. I think what you are doing is wonderful! I mostly patch and hem jeans around here, But I figure that is important too. What a wonderful giveaway! I am going to not through my name in the hat this time. I will use your pattern (thank you!) 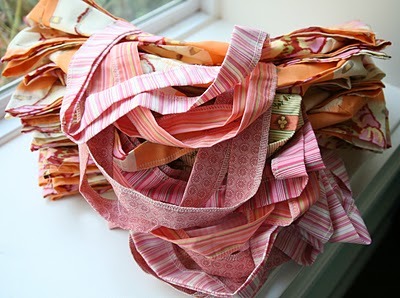 to make some bags out of my overflowing fabric stash. I love to sew quilts! I love to sew quilts and baby clothes! I love to sew zipper pouches! I love sewing purses and little zipper bags. I think my favorite thing to sew is quilts, they let me get my creative on! I love your project! It makes me smile, so glad I found my way here. I enjoy sewing small quilts although I do have a few larger projects to finish! These are beautiful bags! I like making bags and aprons. Thanks! I like to sew quilts, bags, pillows, throws, etc- anything with the vintage fabrics I collect. I am always in need of another grocery bag! Thanks for the chance to win! I like to make quilts and kid clothes. I have been teaching myself how to make bags. It varies for me. Sometimes its bags; other times its pouches. Right now, though, its mini quilts! I've been loving sewing tote bags for reusable grocery bags - we're a plastic bag ban city now! I am just learning to sew, so far my favorite thing is a straight line! However, I did manage a pretty cute baby cap and an adorable pillow for my son. My email address is kudra1978 at aol dot com. I love sewing baby blankets and burp cloths for baby showers! My favorite thing to sew is little girl clothes, and of course quilts. I love patchwork. It's really fun when something sew with friends. Thank you for a great giveaway and a chance to win of the stunning bags. I love sewing small dolls. Thanks for the giveaway! I love to sew quilts, and have just made my first bags - 3 matching royal blue satin clutches for myself and the other bridesmaids to use at our friend's wedding last weekend. I love to sew garments for my great nieces and nephews. As well as civil war vests and shirts for civil war men re-enactors. I'm new to the whole sewing thing, so I like to sew anything new and challenging! Currently I'm trying something made with PUL... that *IS* challenging! I love to sew a variety of things, and like to mix it up so it doesn't get boring. I blogged about your latest fabulous bags! People in Austin need them and are adjusting to the no more plastic bags. I'm seeing more and more people remembering their cloth bags. I can't sew, but really want to learn. I am really interested in learning to quilt, too. Hi! I am more of a crocheter than a sewer, I love to crochet my own bags and accessories for the whole family. wow, this is great!! I love to sew quilts! I absolutely love to sew children's clothes, especially with unique and higher end silk and cotton fabrics. Thanks for chance to win! I love sewing basics like tanks and tshirts in fun colors and patterns! I enjoy sewing clothing for my granddaughters, handbags and zippered purses. I'm just beginning to quilt. My favorite thing to sew is quilts. Really want to try a bag. These bags would make my trips to the store more fun and colorful for sure! I love to sew little, easy projects that aren't too fiddly and don't take too long. My latest creation was a peg bag. I love to sew clothes for my daughter. I love to make quilts,pillows, and bags. These bags are great! I love to quilt, but I have made some bags and dresses for my 3 granddaughters. Thank you for the chance to win a bag. I love making bean bags because they make my children so happy, and I can make them with my scraps and feel less wasteful! I love fabric period! Quilting! I love to sew soft toys with my daughters, Thanks for the bags! I like to make pot holders! I enjoy sewing the occasional pillowcase dress. Thanks! I enjoy making my granddaughter little quilts for her baby dolls. I'd admit it...I'm a terrible sewer! The most I can do is fix a hole in a stuffed animal or sew a button back on. I certainly didn't inherit my mom's skills, who is an excellent sewer! Good morning. I am just a beginner quilter. I enjoy making baby quilts and my latest for my great grandnephew was a blue and white pinwheel quilt. It turned out really cute. Thank you for giving me the chance to win and for being a part of SMS giveaway. I don't sew much but I love sewing for others and especially with my boy. I could give this bag a good home! I love to sew quilts (pieced and whole-cloth). Perfect for snuggling my three babes! I love to sew quilts. Hopefully once school gets out ill have time to do that. Thanks for the give away! I am a sucker for bags,purses,totes etc. I sew tote bags and blankets I put in them and donate them to a local childrens home.If I am a LUCKY winner I will be keeping yours for sure Thank-you Becky D.
My favorite thing to sew is clothing for my children. Thanks for the giveaway. I like to sew the clothes for my child! My favorite thing to sew are bags. Mostly zippered pouches but I love purses too. My favorite thing to sew is quilts! Everything: from clothes to bags. Although I'm still learning it (started to sew a few months ago). I wish I could sew myself, but I buy things from others. I love to sew large quilts and small table toppers. i am, currently passionate about baby girl clothes... :) odd since I have one child, a boy, who's 13... but still.. LOL! I like to sew just about anything. I will do mending but not crazy about it. Quilts! And I love your cause! Scrapbirl1467 (at) yahoo (dot) com. I love to sew quilts! atabanana29(at)gmail(dot)com I like to sew bags the best! Thank you!